The Osaka firm has a portfolio as broad as most of its rivals, but rarely makes the headlines – something that’s set to change soon as something of a revolution turns the company on its head and changes its very way of doing business. Sanyo started out in 1947 when Toshio Iue left his job at Matsushita to start his own business selling lights for bicycles. The fact that his brother in law was Konosuke Matsushita (that firm’s founder) probably had a bearing on the company’s decision to lend Iue an idle factory for his fledgling operation. Five years later and Sanyo had moved into electrical goods with the arrival of a simple plastic radio. The first domestic video recorder followed as early as 1966, but much of Sanyo’s subsequent energies went into less glamorous fields, such as industrial refrigeration, batteries and air conditioners. However, fast forward to summer 2008 and we see a Sanyo portfolio that looks very different. As far as the ‘front-facing’ material consumers get to see goes, it sometimes seems that we’re dealing with Greenpeace and not an electrics retailer with revenues counted in the billions of yen, so what changed? It’s natural to be skeptical of such corporate cuddliness, but Fowles points out that Sanyo takes this to a level beyond most modern mission statements. “Based on the harmony and interdependence focused on by Dr. Lovelock, walls were broken down between companies and divisions - our office literally has no walls around each division or team,” he says. This, of course, had a purpose, with Sanyo divisions sharing ideas with each other in a way that hadn’t happened previously. A perfect example of this resulted in one of the company’s flagship products. After some time spent looking for a commercial application for its new water recycling and purification technology, one internal Sanyo division realized it might just work in the products of another section. The upshot was the Aqua range of high-tech washing machines that use little water – or, in some cases, none at all – and which now ranks among Sanyo’s top sellers in its home territory. One aspect of the new machines – which are marketed to shoppers in terms of how much they can save on a year’s water bills – is the Aqua Loop water-saving technology that uses 96 per cent less water than an equivalent Sanyo washer from the late 1990s. That’s impressive enough, as is the claimed annual saving of around $140, but another breakthrough is altogether more surprising. The Air Wash 3.0 system creates ozone that washes away bacteria, dirt and smells, meaning even dry-clean-only items can be washed at home. The dual appeal of saving resources and money is clearly a draw. After the lean, green washing machines Sanyo’s new approach dealt it an even bigger hit in the shape of the eneloop-brand rechargeable batteries that are already a monster hit (50 million + sales) and which are soon to be bundled with a very high-profile gaming device, if rumors from outside Sanyo are to be believed. 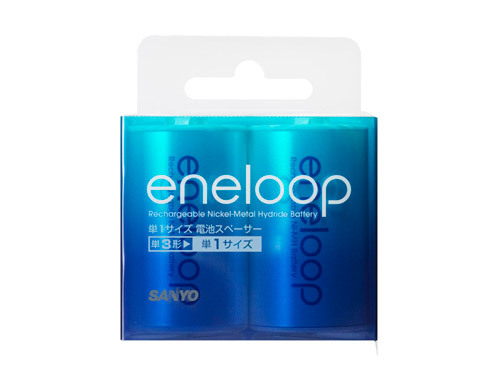 Fowles explains the eneloop evolution: “In a review of the reason that people don’t buy rechargeable batteries, it was found that the biggest factor was the inconvenience of not coming pre-charged. “[Add in] the fact that they had a horrible self-discharge rate, and you could never trust rechargeables in sensitive devices like your alarm clock,” he says. Naturally, the ‘two heads (or departments) are better than one’ approach threw up rechargeable batteries that function much like standard dry cells, coming pre-charged, having a long life and being fully reusable. We could list plenty more products like those that all clearly rise well above the usual green rhetoric employed by many rivals, as well as large-scale PR endeavors like the giant Solar Ark solar power plant and museum that rises above the Bullet Train tracks in central Japan, but is this part of covert Sanyo move upmarket and away from its roots? 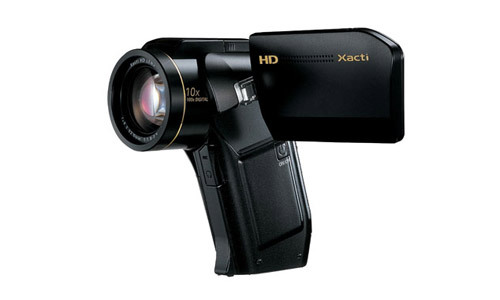 That’s all very well, but let’s not forget that Sanyo still does huge amounts of business on its electronics lines, including Xacti digital cameras and camcorders. Unsurprisingly, Sanyo has an answer to the charge that those things hardly encourage the green lifestyle. Still, it’s all about consumption at the end of the day, isn’t it? “Sure, we can live life without digital cameras, but it is more fun to make memories,” says a rather candid Fowles. Nevertheless, that’s not to say that the really important issues are subsidiary to having a good time and making money while we’re all at it. “By making a washing machine that can reuse bathwater and recycle it in Japan, customers not only save on their water bills, but they save water that needs to be used for drinking - that type of water makes up less than 1 per cent of the Earth’s water supply. While washing a pile of laundry with ozone and just a dribble of bathwater or making incremental changes in the amount of energy we burn through by changing batteries or buying certain gadgets might not sound like a big deal, it’s clear that companies like Sanyo can make a difference. After all, if the products with the potential to reduce our impact on this planet aren’t on the shelves, we can’t buy them, can we? And, of course, the parallel debate about whether or not we actually need them in the first place deserves a little airtime too one of these days.